The grand opening of the $1.6 billion mega resort by the Las Vegas Sands Corp. will commence on January 18, 2008. During the grand opening celebrations of the Palazzo during January 17 – 19 there will be several celebrations including a concert. The retail portion, named The Shoppes at Palaazo, will open Jan. 18. This will connect The Venetian hotel and be the first Las Vegas NV hotel casino since the opening of Wynn Las Vegas in April 2005. This retail space is 450,000 square feet and the flagship store is Barneys New York. The largest resort in the world will be the addition of the Palazzo real estate to The Venetian. At completion the resort will be 2.3 million square feet of convention, meeting and exhibition space, luxury condos and 7,128 luxury hotel rooms. 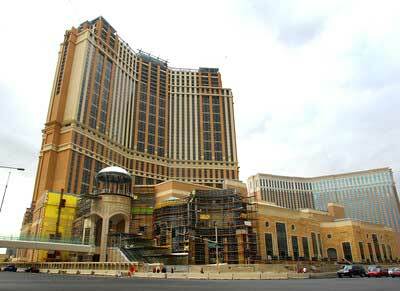 The Las Vegas Sands will be operating the Palazzo as an extension of The Venetian. This business arrangement of operating under The Venetian’s gaming license will give the company an operating savings of $40 to $60 million for the mega operation. Expected to open in the spring is The Palazzo theater. It will feature the Tony Award-winning Broadway musical “Jersey Boys”. The restaurants in the Strip resort will include celebrity chef operations such as Emeril Lagasse, Wolfgang Puck, Charlie Trotter and Mario Batali. The Palazzo will showcase a Las Vegas 40/40 Club, a New York lounge and sports bar.